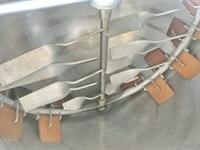 Stainless Steel contrarotating kettle. Double motion scrapped surface agitator. 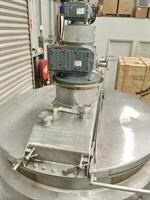 Drives SEW 3kw/22rpm and 0.75kw/32rpm 415v. Bowl ID 1220 x 900 deep. 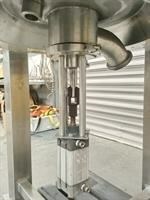 Outlet 60mm air operated valve. 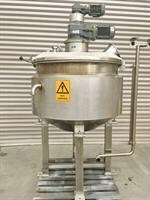 Stainless steel 7500L Dimple Jacketed Mixing Tank. Agitation is via a Hydraulic Motor, complete with power pack which has a 15kw Flame proof(Exd) 415v motor fitted.